There’s nothing their two girls, Li-Ru and Xin-Jou, needed more. Born three years apart to different families, Li-Ru’s and Xin-Jou’s lives began separately—one spending a few years of her childhood in Taiwanese orphanage and the other, several years with a foster family in Taiwan. Although each child’s situation was unique, for both children their earliest days were difficult and strained: filled with transition when they needed calm and stability; loss when they needed comfort and love. Li-Ru was born in 2011 with a rare condition called schizencephaly that caused abnormal clefts to form, in her case affecting over half the typical brain tissue. Abandoned at birth, she received short-term care from her maternal grandmother, but because of the support Li-Ru needed, she was soon taken to the orphanage. 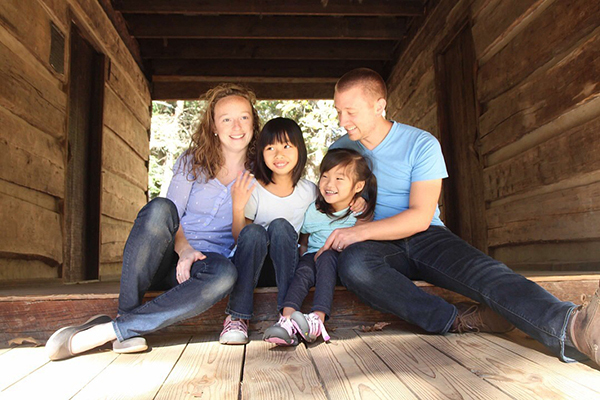 Xin-Jou entered foster care urgently after her birth parents could not care for her. With a mixed communication disorder and some sensory processing issues affecting how she communicated and received information, some days were tough; and although she’d remained with the same foster family year to year, she had no assurance of permanence. The over-arching needs the two girls had were apparent: to feel safe, to be loved, to belong. But, the individual needs each child had were significant. That limited the number of families prepared to care for them. WACAP staff had sprung to action when they learned about Li-Ru in the spring of 2013. She was mostly non-verbal, had cerebral palsy as a result of her schizencephaly, and with a range of developmental disorders, she required a lot of support. 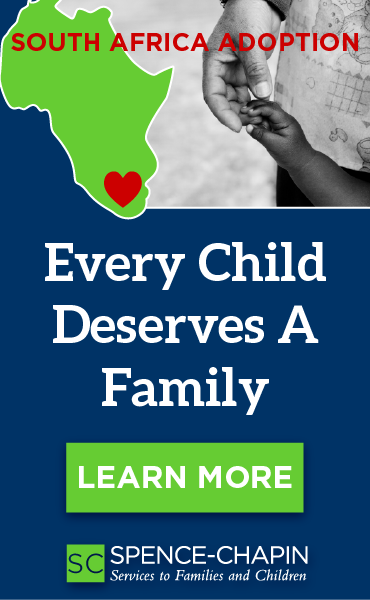 Staff added her profile to WACAP’s “Waiting Child” site, reached out to advocacy partners including Rainbow Kids, and connected with nearly a dozen families one-on-one. Still, Li-Ru’s second birthday came and went in the orphanage. It was a place where she was “well-loved by the nannies and volunteers,” where she attended a school for children with disabilities, but where she lived without the family who could help her thrive. The same was true for Xin-Jou, who was 6 years old in 2014, when WACAP first began advocating for her. Xin-Jou’s needs and increasing age further limited the families prepared to adopt her. In addition to being older and having communication/sensory challenges, her behavior didn’t always line up with what others expected, particularly as she worked to process difficult early experiences and memories. 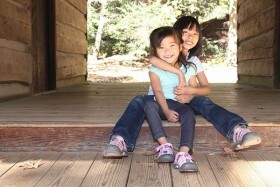 By age 7, Xin-Jou had spent 6 and 1/2 years in foster care. Fortunately, Jessica and Matthew saw themselves in both Li-Ru’s and Xin-Jou’s stories: Jessica was a special education teacher for children with a range of disabilities, and Matthew, a pediatric nurse. “We knew that we were equipped and capable of parenting children that others may find more challenging,” they explain, and both felt pulled to adopt. 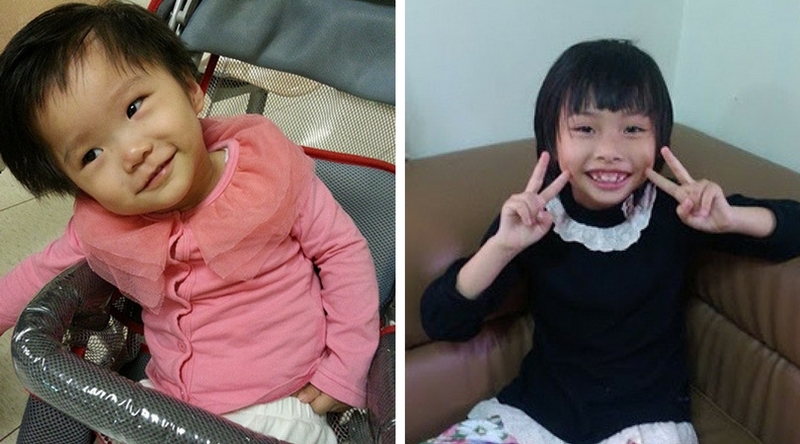 An email they received from Rainbow Kids about children with cerebral palsy brought them to WACAP in 2013, where they asked to learn more about Li-Ru. “We knew it then, that she was supposed to come home to us,” Jessica shares. 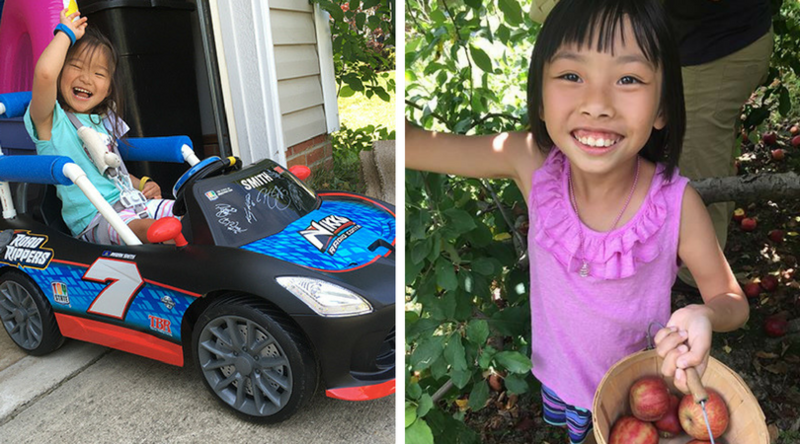 Despite being new to international adoption, they’d “jumped in,” requested her information, and learned about Li-Ru’s needs and background. And they asked to become her family. Within 9 months of welcoming her home, they felt pulled to adopt another child from Taiwan, an older child with special needs. They hoped both girls’ shared heritage might create a special bond, and that Li-Ru would find in a big a sister a “physical role model,” of sorts. “Into the picture comes Xin-Jou,” Jessica and Matthew remember. They first saw her on WACAP’s waiting child site, and in 2016, they were matched, their family growing by one more. “Fast forward and now we don't see ourselves adding to our family any other way,” Matthew and Jessica note. “Adoption is our chosen route.” Certainty about their route hasn’t meant they’ve had all the answers, though. They started out with a leap, ready to learn, and willingly leaned on each other and their faith for strength. Today, the 5-year-old knows that she belongs. School, which she attends at home, is a first request when she wakes up, and her mom boasts, “Li-Ru is a total smarty pants, shocking us, her doctors, and therapists with what she can do....” Her personality is one of active participation, and she has a charm all her own, melting the hearts of friends, family and strangers when she wants to by donning “puppy dog eyes,” and blowing kisses. Her new older sister, 8-year-old Xin-Jou came home in 2016. Together, Jessica and Matthew are working to meet her where she is, understand her past challenges, and seek out the supports she needs. Spunky and self-reliant, Xin-Jou is a ‘go-getter.’ She’s inclined to say what she thinks, and what she thinks also makes her laugh. Adventurous herself, Xin-Jou tends to regard others, and her family with reserve ... except for her sister, whom she trusted immediately. In Li-Ru’s bond of trust with her parents, Xin-Jou found the stepping stones to that bond, too. “She has already come a long way, and feeling safe has made a huge difference in her life,” Jessica and Matthew say. Recently learning Xin-Jou was diagnosed with high-functioning autism, they're better able to understand some of her responses and continue to be there in the way she needs. Hepatitis B is Not that Scary!